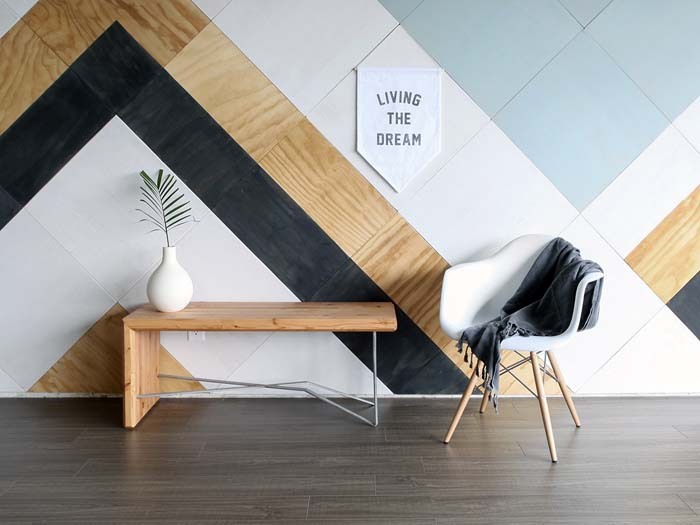 Designed for modern Vancouver living in mind, E 28 Collection integrates reclaimed butcher block wood and newly formed stainless steel for both beauty and durability. 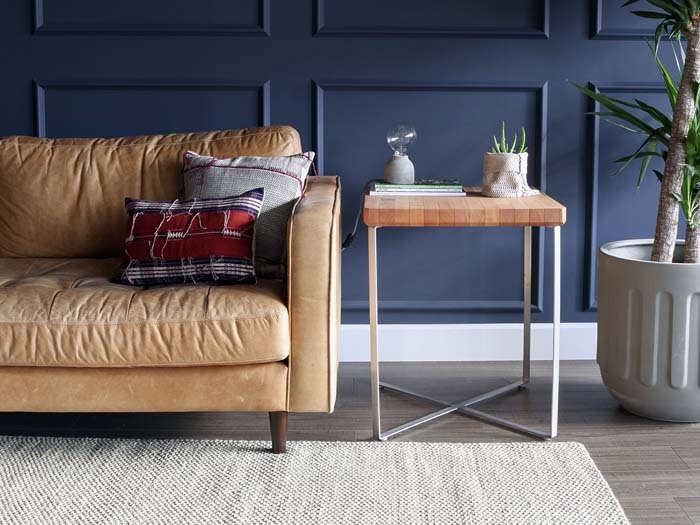 E 28 Collection features the Station Block, Main Bench and Prior Table, three distinct furniture pieces that each embody heritage feel through modern form. Made in collaboration with Pacific Design Lab and Nineteen Ten Home Boutique, the E 28 Collection is designed for accessibility, versatility and full customizable. 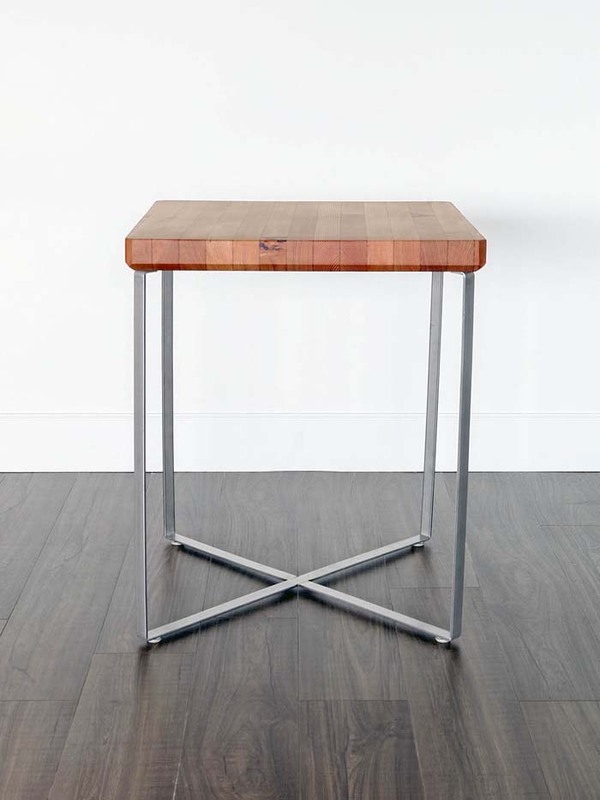 The base model for each piece comes with the naturally beautiful butcher block wood, freshly sanded with natural oil finish and custom formed steel is left raw and untreated. 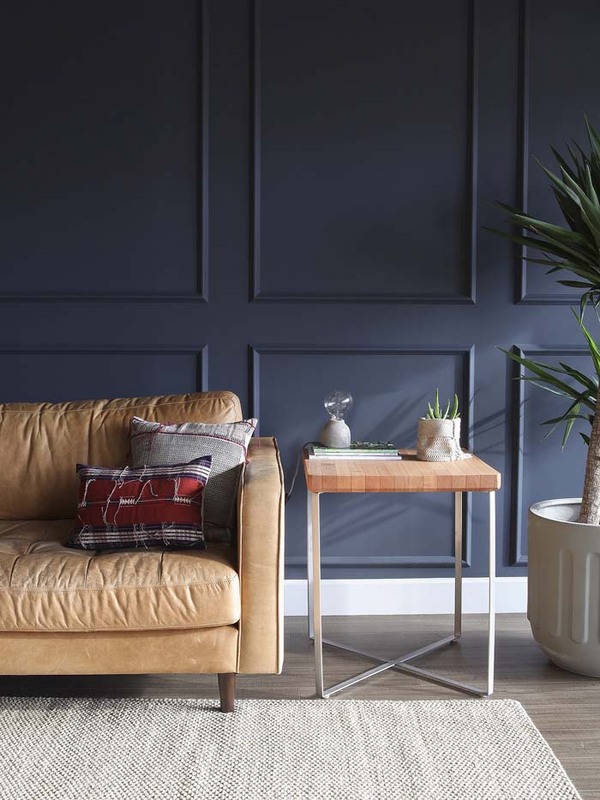 Customize to fit into your space by adding a dark wash for depth and detail in the wood or a coastal inspired white wash for a contemporary finish. The steel can be powder-coated for a fresh and clean finish. Named after the nearest avenue to the boutique, the concept for the E 28 Collection took its inspiration from the character and history of the natural material it employs and from the city of Vancouver itself. Main Street is a physical connector between design studio and shop, bridging the two locations; its namesake bench is a reflection of that idea of shared space, mimicking and memorializing the lengthy street. 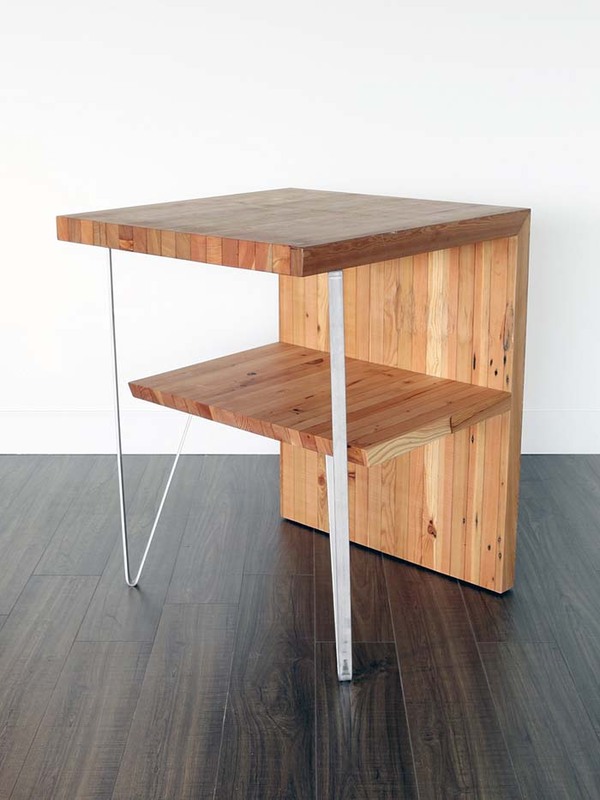 The Prior Table embodies a balance between the heavy reclaimed butcher block top with detailed chamfered edge and the light steel frame it sits upon, while the crossing flat bars continue the theme of location and familiar cross streets in Vancouver, suggesting the concept of home. This table is modest and adaptable, a compliment to any room. A multipurpose station for the home or office, the Station Block acts as an extension of your counter space or an easy addition for versatile Vancouver spaces. 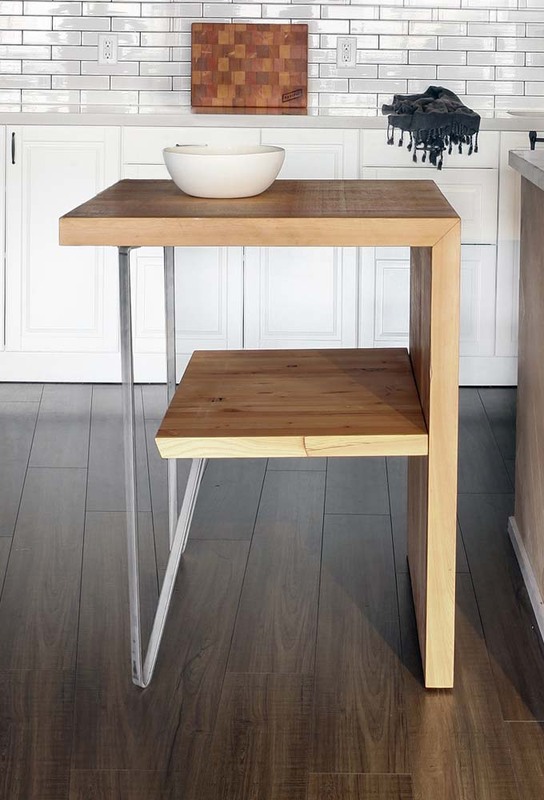 Made with heavy-duty reclaimed butcher block, the waterfall edge holds strength and character that correspond with the modern angles of the steel legs. The crossing steel reflects our cross streets, a source of inspiration and intention when it comes to what can be done on Station. Reflecting Vancouver’s iconic Main Street, the Main Bench acts as a connector for people and places in Vancouver. 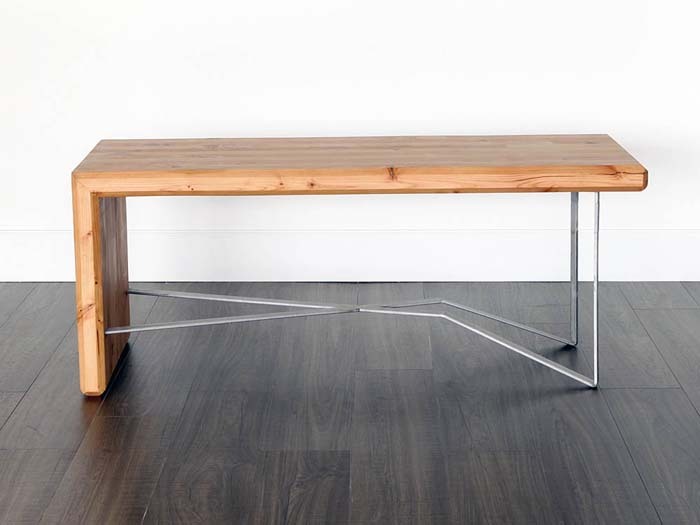 Bridging modern forms with heritage feels, this bench is a perfect union of old and new with the reclaimed wood and formed stainless steel legs. It’s open frame makes for a spacious addition to your entryway, hallway, or room.